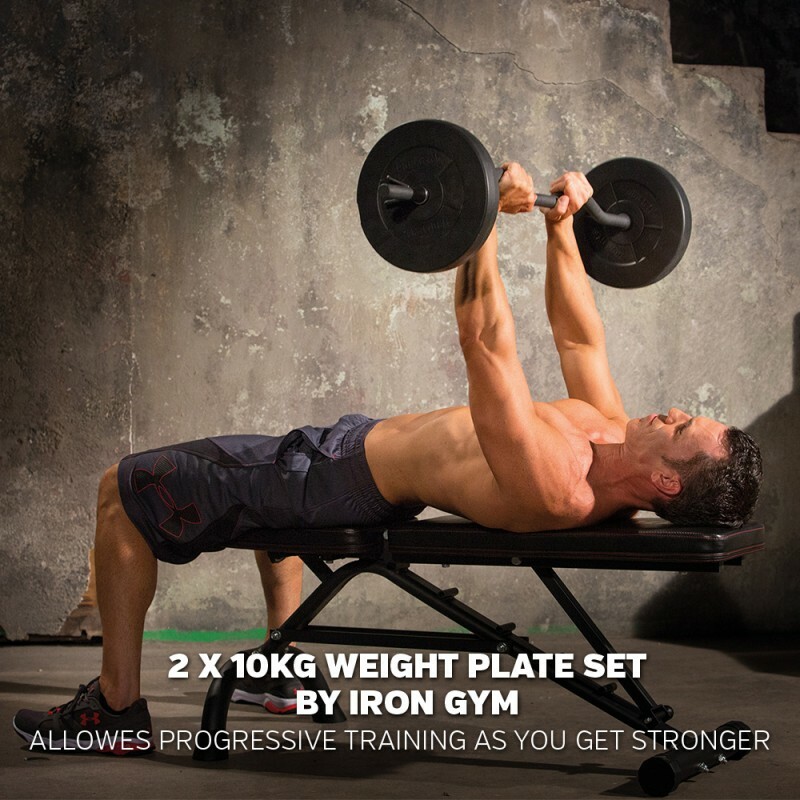 Build progression as you get stronger! 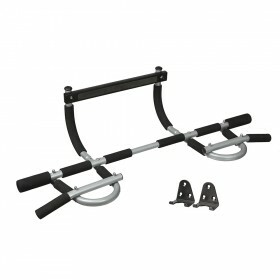 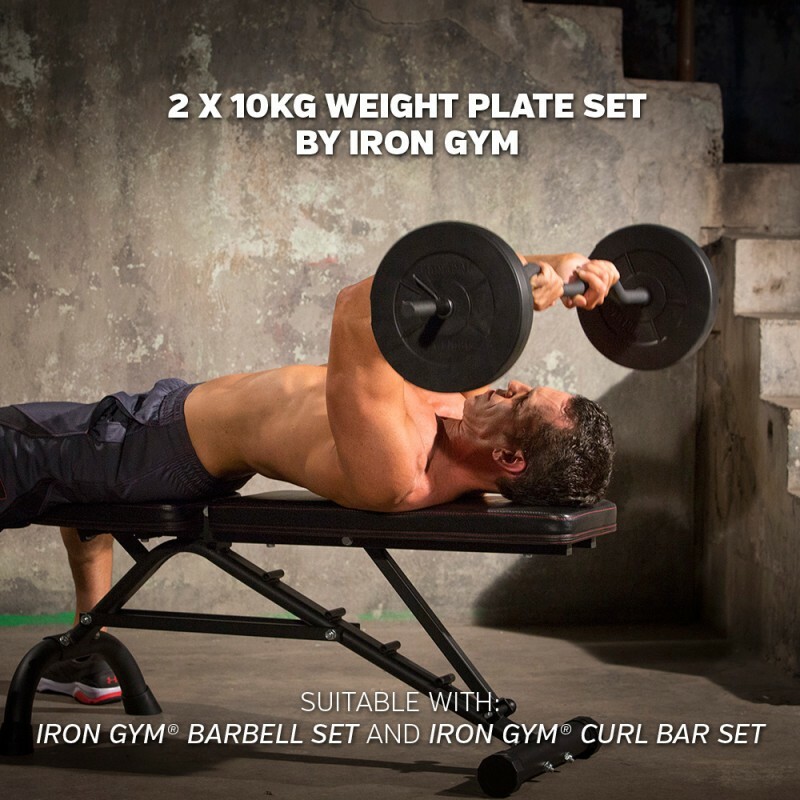 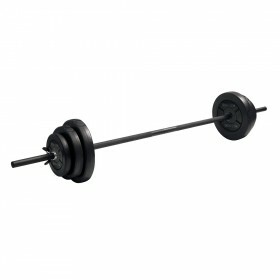 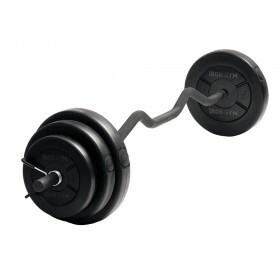 20kg Plate Set is designed as an add-on weights for the 20kg Adjustable Curl Bar and Barbell Sets as you get stronger. 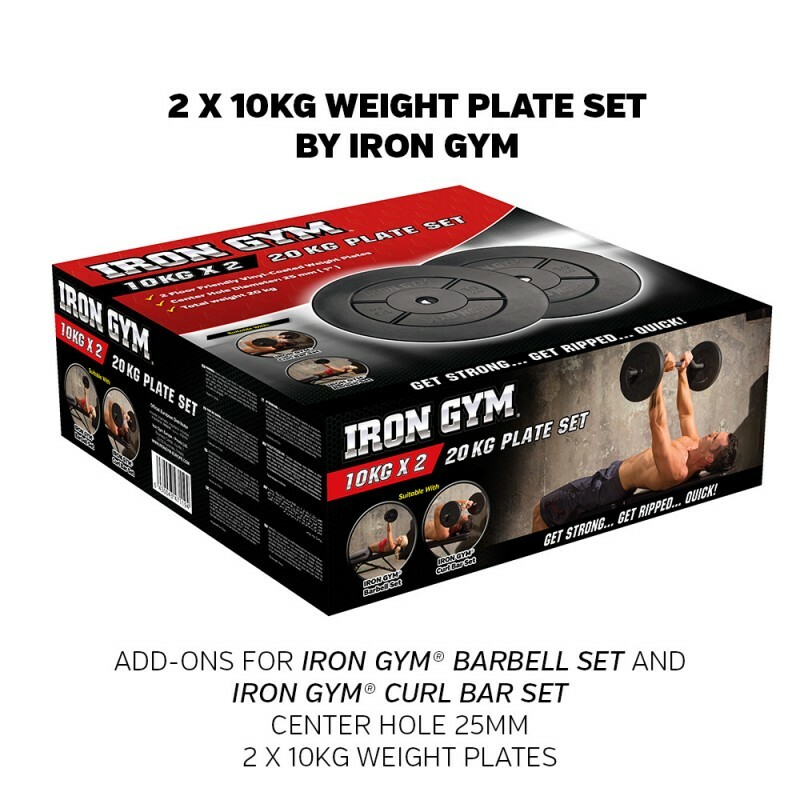 With these additional weight plates, you are able to build progression needed for maximum muscle development. 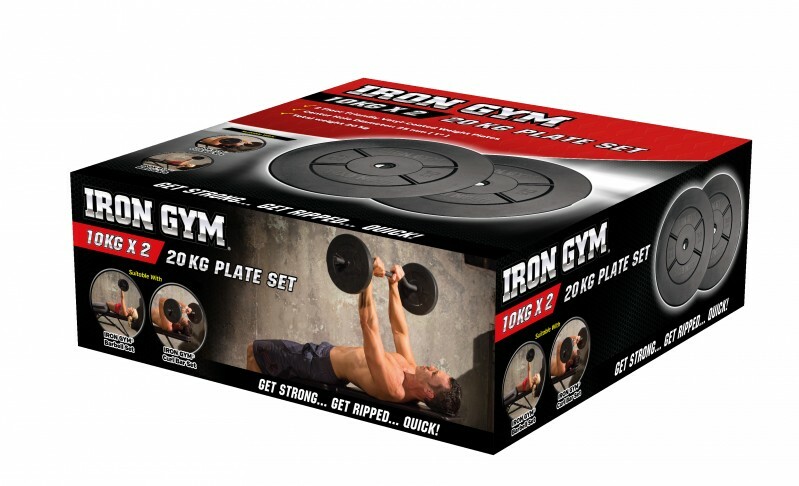 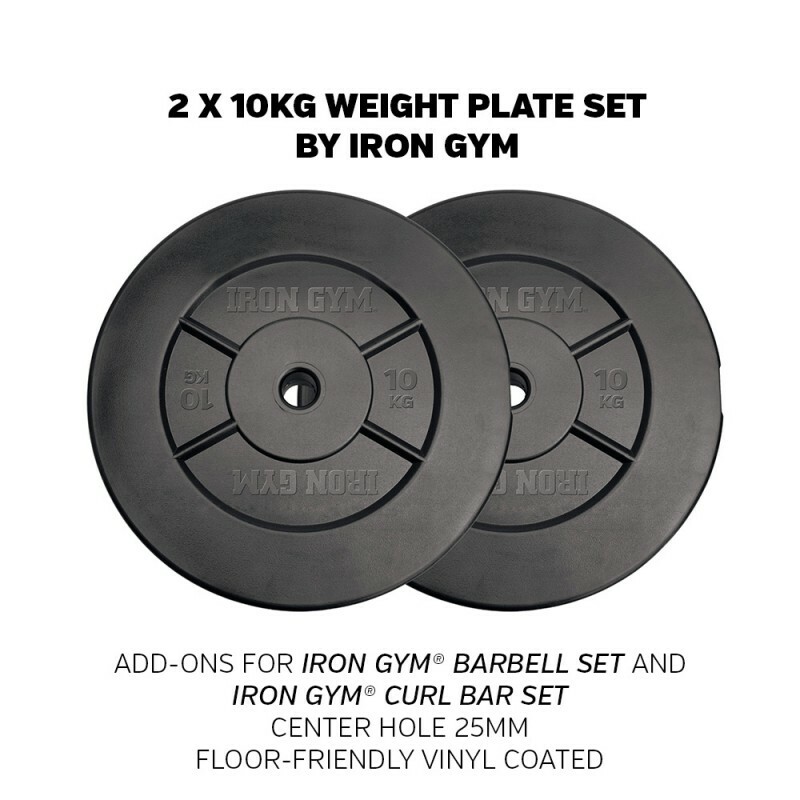 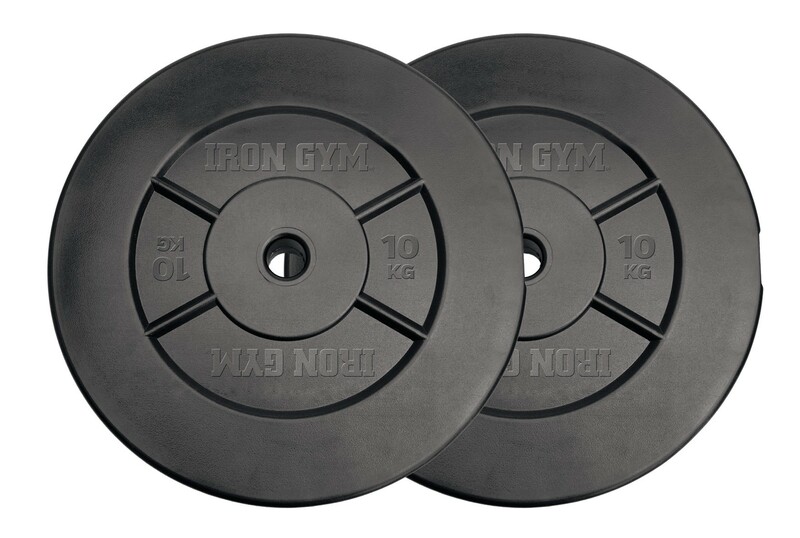 Additional plates have the same quality and look as the weight plates that come with IRON GYM Barbell and Curl Bar.